Travel FX Ltd is a specialist dealer in currency providing an alternative to banks, traditional bureaus de change and the Post Office for clients seeking competitive exchange rates. We have quickly grown into one of the leading providers of foreign currency to the public due to our expertise, technological structure and unwavering commitment to provide you with a level of service unrivalled in our industry. A Registered Money Business with H.M. Revenue & Customs under number: 12729401. A Limited company registered under number: 06965268. All client funds are held in segregated client nominated accounts with Metro Bank PLC. 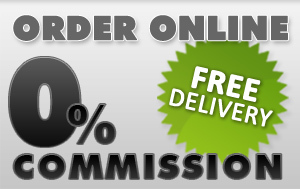 We will provide you with a fast, efficient and hassle free process offering great rates and guaranteed delivery. Travel Money - Fully insured and guaranteed delivery of cash to your home, commission free and at great rates.